This sciPAD will revolutionise what you think a biology workbook should look like. 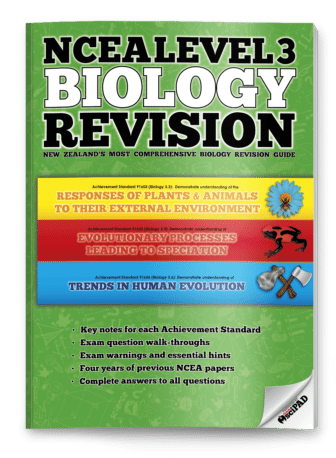 Comprehensive and engaging without being loaded with superfluous information that is outside the scope of the standard.Designed to support your teaching programme with clear diagrams, concise notes and relevant contexts to enhance and reinforce your students’ learning. 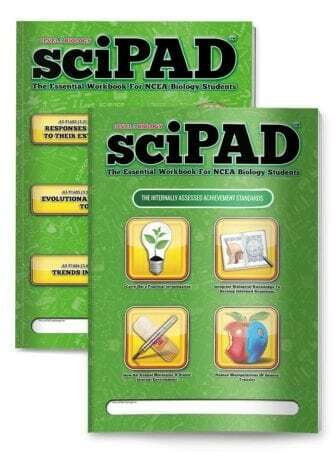 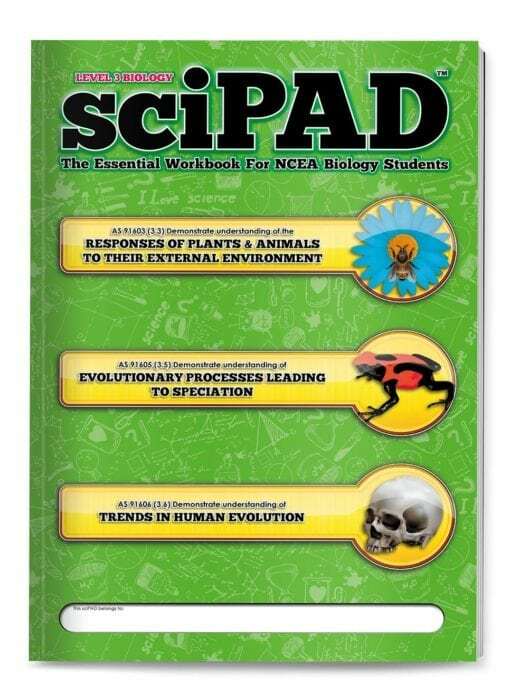 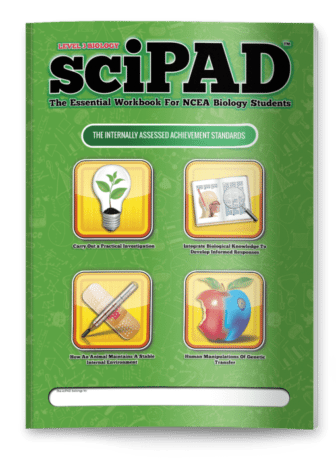 The Level 3 Biology sciPAD workbook provides comprehensive coverage of the three Level 3 Biology externally assessed Achievement Standards AS 91603 (Biology 3.3 - Responses of plants and animals to their external environment), AS 91605 (Biology 3.5 - Evolutionary processes leading to speciation) and AS 91606 (Biology 3.6 - Trends in Human Evolution). 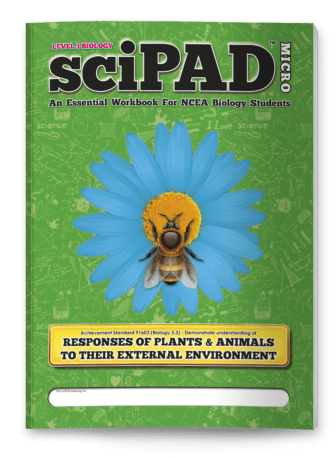 At 326 pages you won't find a more comprehensive, exciting, or engaging biology workbook for your students.